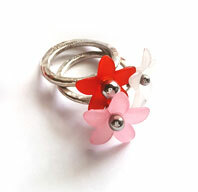 Incredible qute tripple ring of sterling silver, with 3 small pretty flowers of resin. Size of flowers appr. 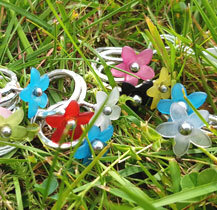 14mm and are made in different heights. 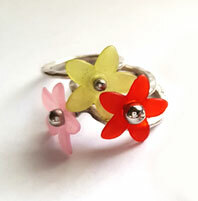 Below you see the colour combinations and size of ring, you just fill in which one you want.